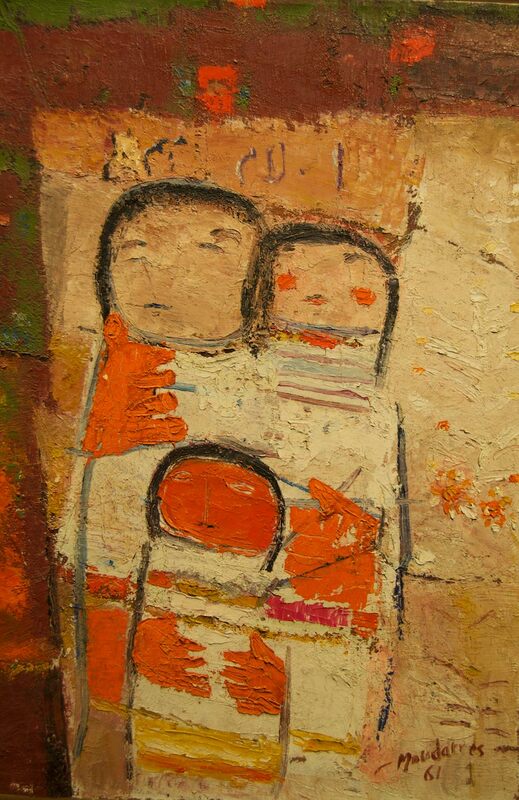 Fateh Moudarres (1922—1999) was a Syrian painter and one of the leaders of the modern art movement in Syria. Moudarres studied at the Accademia di Belle Arti in Rome, where he was influenced by Surrealism. After he completed his studies, he returned to Syria where he grew and honed his skills under the auspices of long-time friend, mentor, and tutor Wahbi Al-Hariri. Born in Aleppo, Syria, Fateh Moudarres originally taught himself realist techniques before becoming interested in surrealism. He is considered a “master” Syrian surrealist painter. 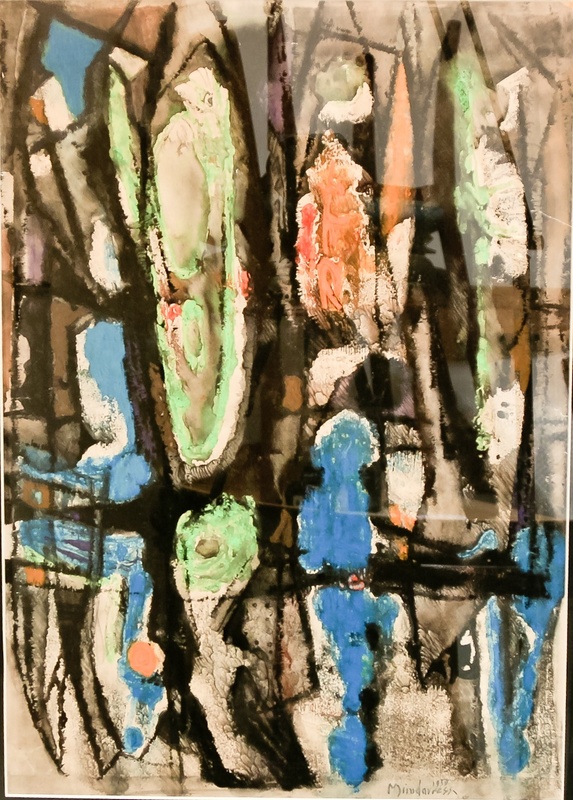 After receiving his high school degree from the Aleppo American College, Moudarres studied at the Accademia di Belle Arti di Roma in Rome from 1954 to 1960. 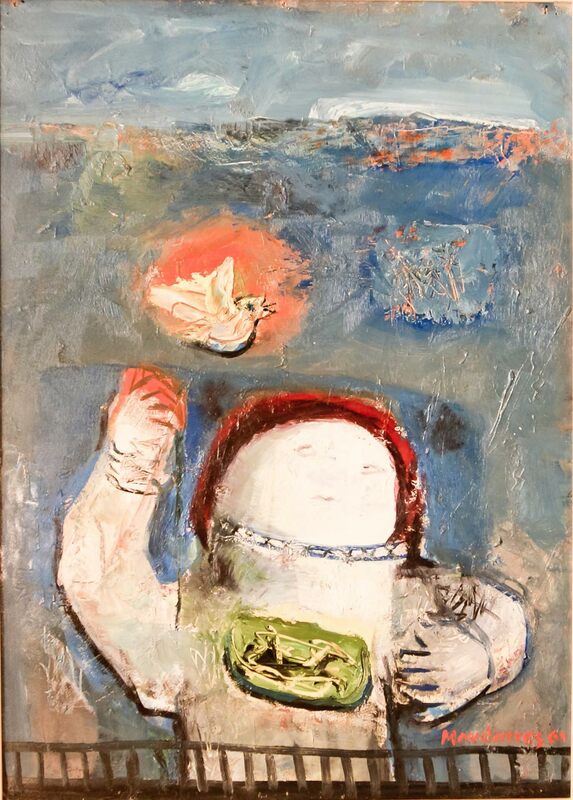 He abandoned the religious iconography and Syrian Art references of his early work for non-objectivity in the 1960s. 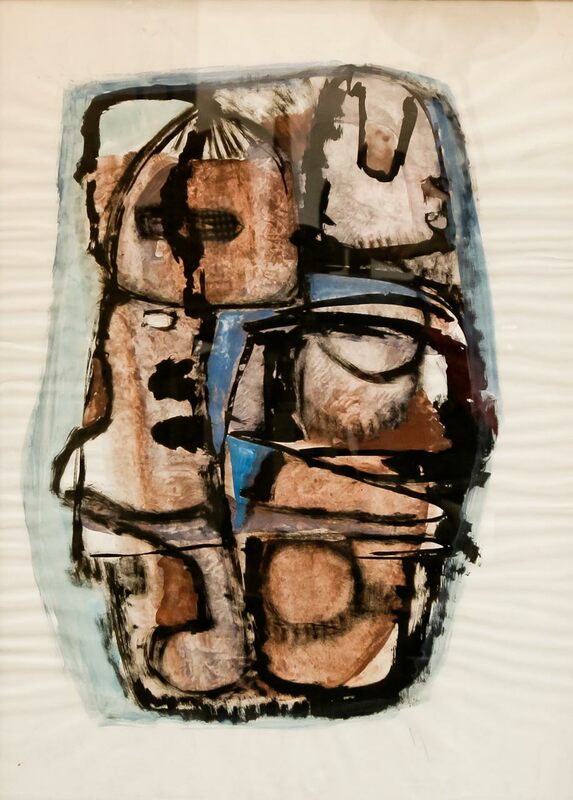 After 1967 however, his work took on political themes. 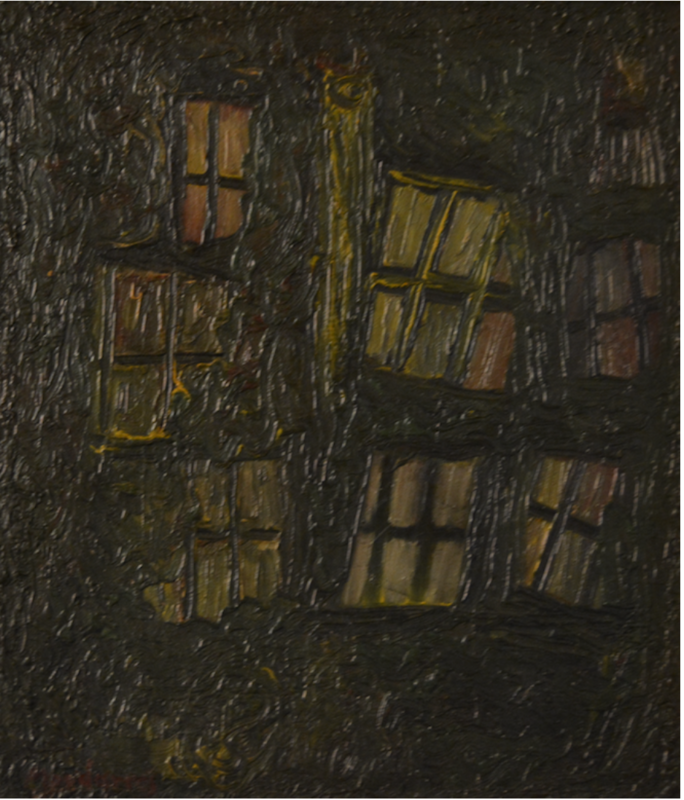 Moudarres studied at the Ecole des Beaux Arts in Paris for three years in the early 1970s, and honed his technical and compositional skills before returning to Syria to teach at the University of Damascus an opportunity that allowed him to interract with other young Syrian artists. During this time, he was mentored by Syrian artist Wahbi Al-Hariri, “The Last of the Classicists,” with whom he would remain friends. 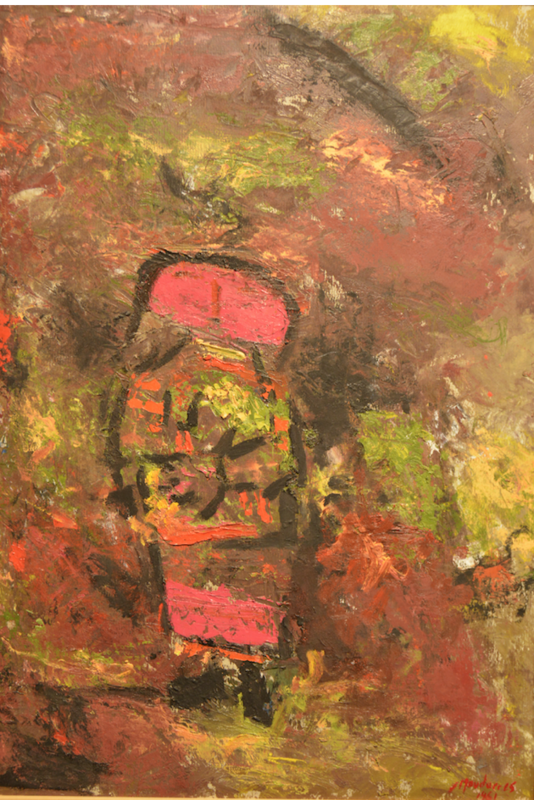 Upon his return from Italy, Moudaress abandoned the traditional formulas of painting prevalent in Syria and began to create a language where his vocabulary was drawn from the primitive and ancient arts of his country. In his expressionistic idiom reality is mixed with fiction. The heroes are taken both from the present and from ancient civilisations, and are both nameless peasants and legendary figures. Their square-shaped heads recall those of Assyrian statuary, and those of the figures in Palmyrene frescos, and also of early Christian iconography. 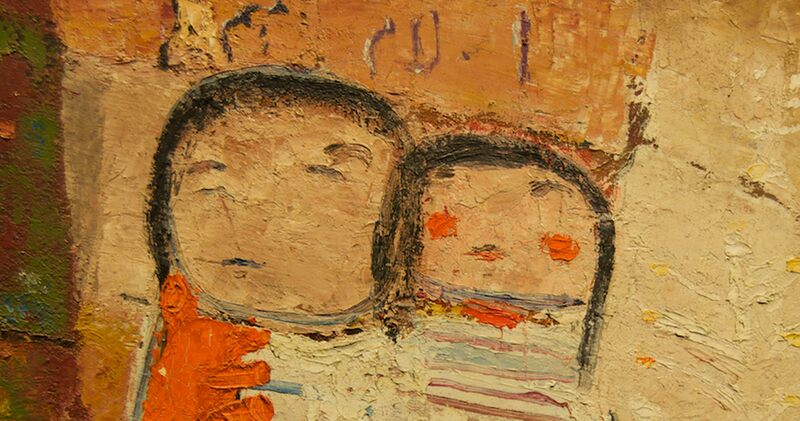 These characters are enriched with warm and vibrant colours and executed in a variety of ways, sometimes with dense application of paint, sometimes scratched, or stippled, or with the addition of sand. Often a specific group of colours, such as red and black, or white and fawn, will dominate the painting. Growing up Fateh Moudarres spent much time in the countryside, but the agricultural crisis of the 1960s forced him to relocate to Damascus. The city at that time was experiencing a period of unprecedented growth and fast becoming an increasingly cramped and hostile environment in which to live. These conditions were compounded by the political and social unrest sweeping the Arab World. Against this backdrop Moudarres, along with several his artist contemporaries, often sought to depict the everyday people and the problems they encountered. He was especially moved by the life of ordinary people in the Syrian countryside. For them, what on the surface which can often incorrectly be characterized as an idyllic existence was in fact a way of life marred by problems caused by social upheavals. The present composition depicts the life of the simple peasants, showing the country bride and wedding party. In such a scene one might expect to see joyful celebration, but instead there is a palpable aura of sadness, as Moudarres reveals something of his feelings about suffering and helplessness of these women in the rural areas.